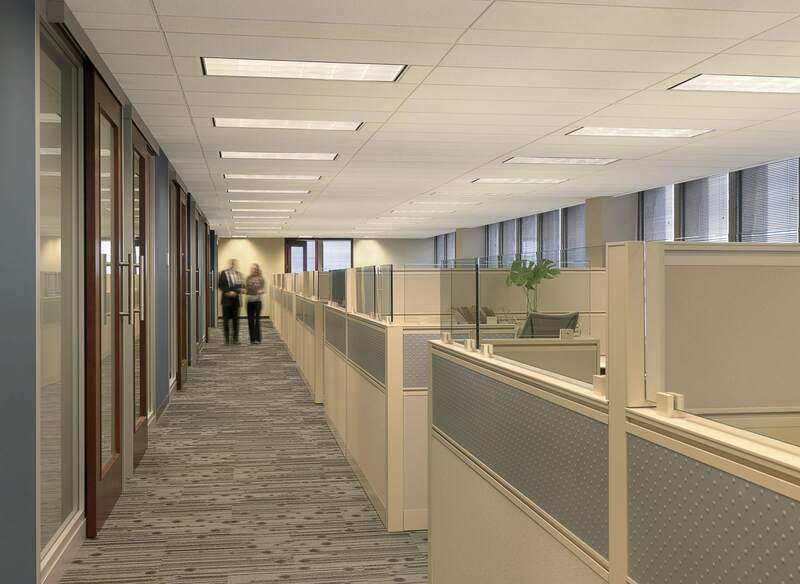 Making a move from a very traditional office space where offices lined the perimeter of the space, Mueller Prost took the opportunity to improve the workplace and give the benefit of daylight to all of their employees. 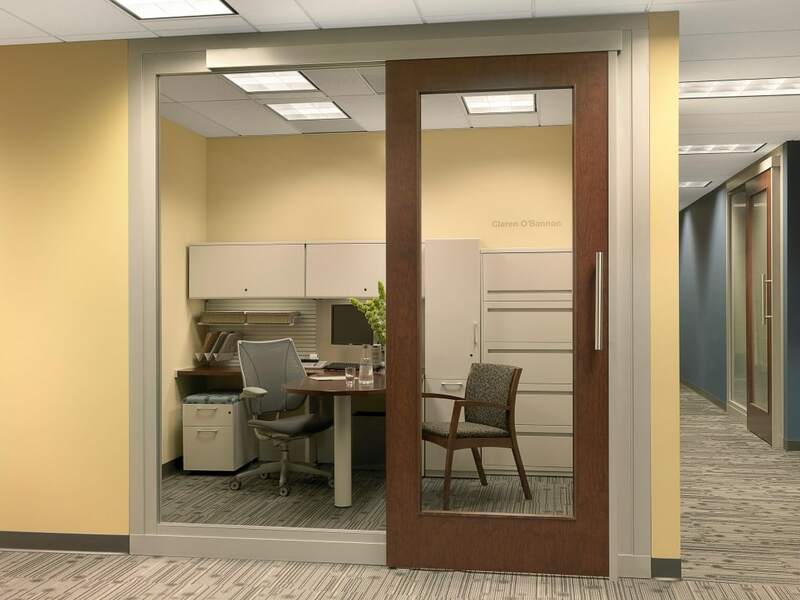 The new design provides interior offices around the core of the building with full glass fronts and sliding wood and glass doors while lower paneled workstations with glass tops are located along the perimeter to allow daylight to penetrate to the majority of the associates and encourage connection and collaboration among the employees. 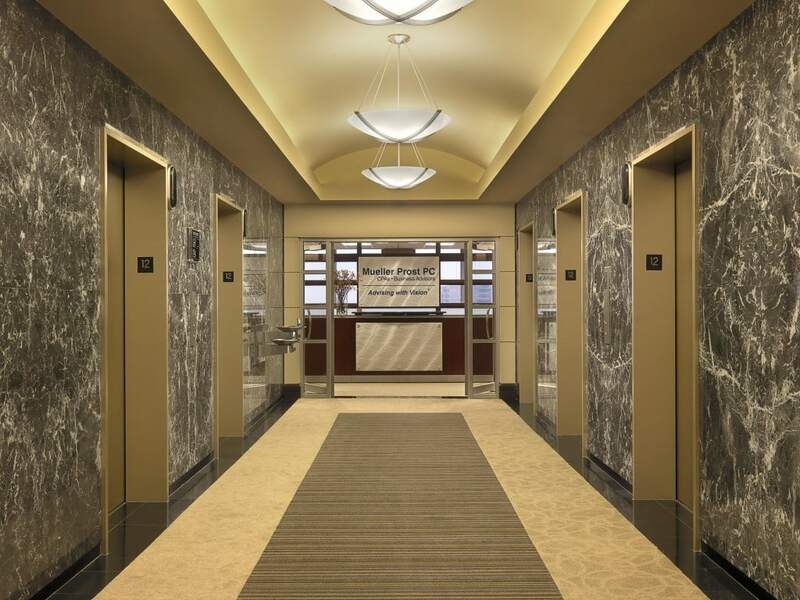 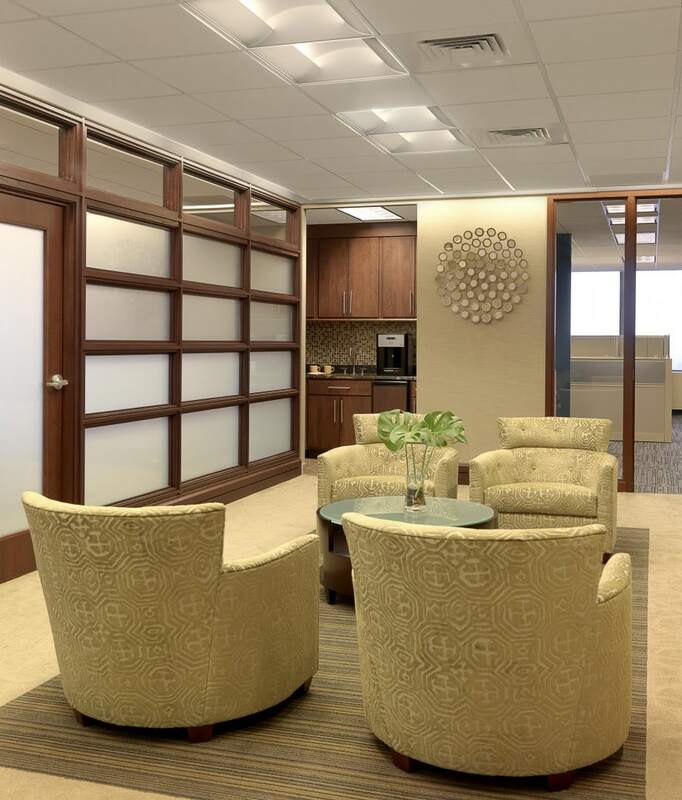 The front lobby includes a sophisticated and classic palette and provides multiple conference rooms so it is easy to meet with clients and provide privacy and security for the employee work space. 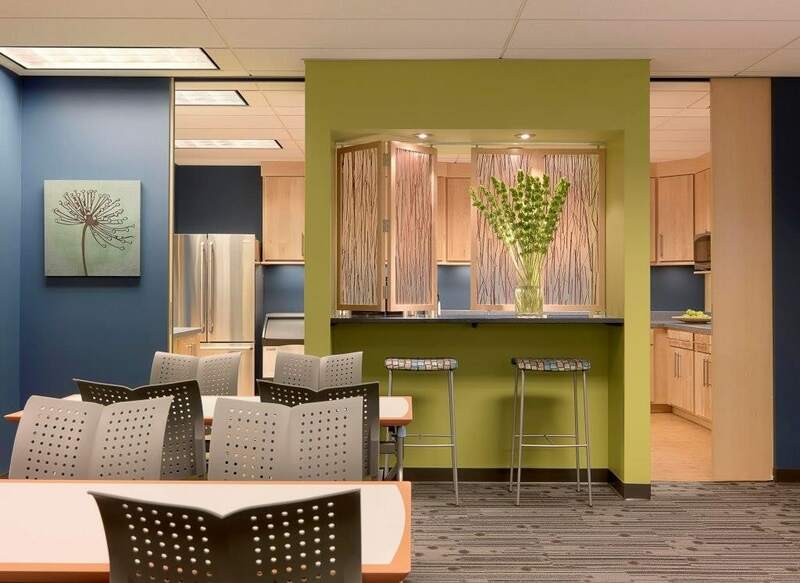 Throughout the workspace, the corporate colors are used in the design to reflect the company’s brand.